Television • Authors of the novels are also writers and producers on the outstanding science-fiction series. Daniel Abraham and Ty Franck have written  are writing  a series of best-selling science-fiction novels. 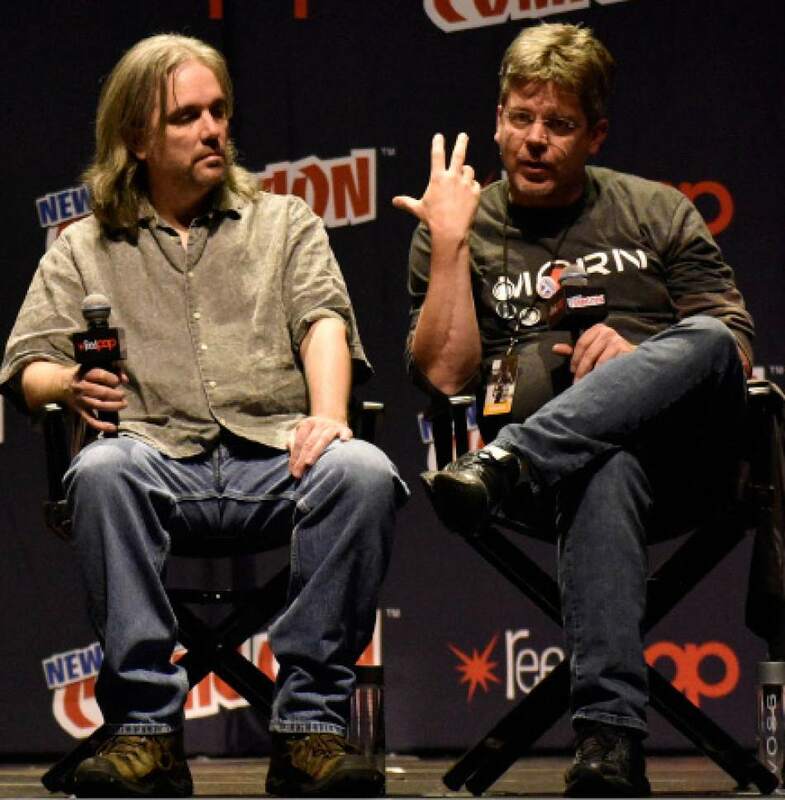 Under the name James S.A. Corey, they&apos;re working on the seventh in a nine-book series under the collective title "The Expanse." They sold their books to television producers, and that&apos;s where this story ends for most novelists. "In Hollywood, they call it buying the title," Franck said. "They basically use the same title but nothing else is even remotely familiar. You just take the money and you smile and you go your way." But Abraham and Franck wanted to be involved in producing the series. 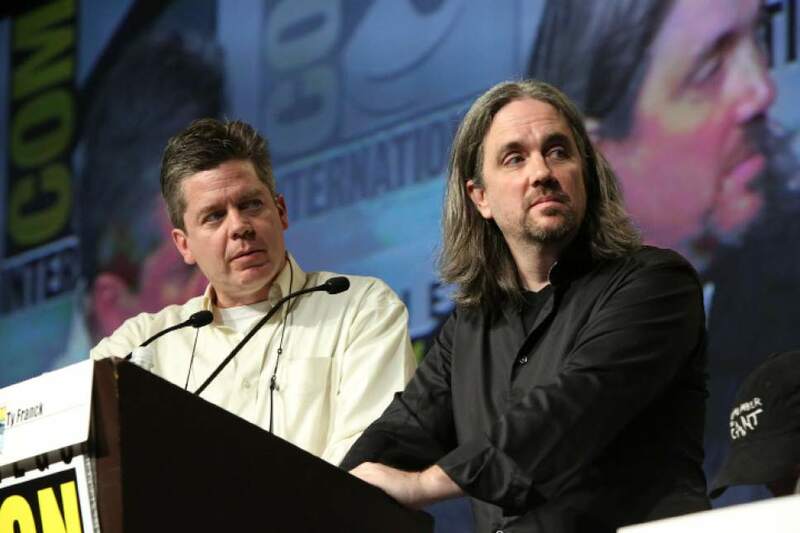 And executive producers Mark Fergus and Hawk Ostby ("Children of Men" and "Iron Man") said yes. 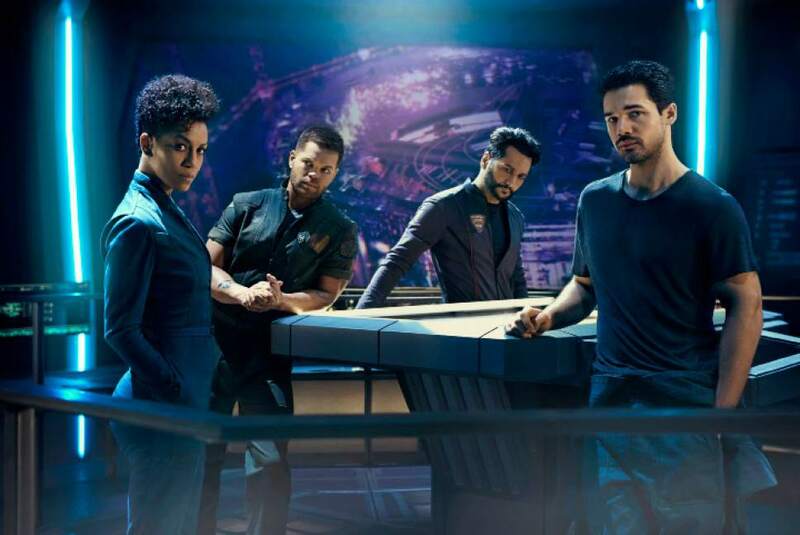 The result is "The Expanse," which is midway through its 13-episode second season on Syfy, with new episodes debuting on Wednesdays. Abraham said their ability to be involved with the show was like "winning the lottery." 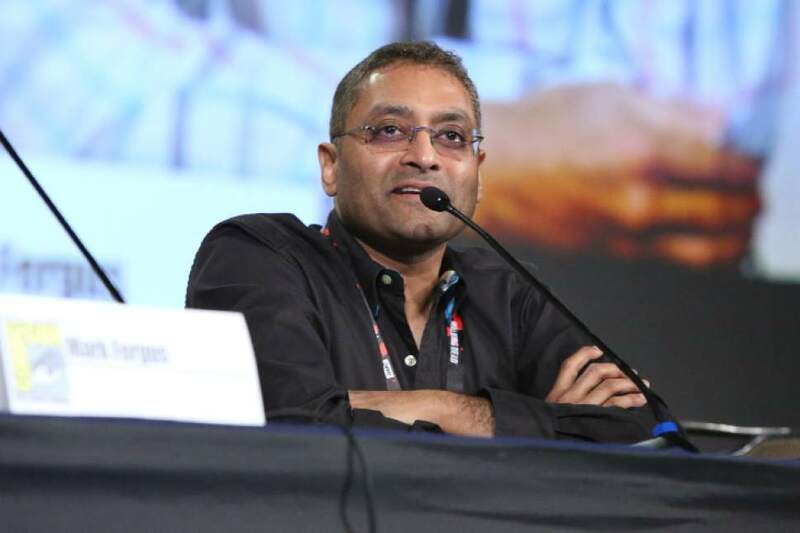 When Naren Shankar ("CSI") was hired as the showrunner, he was "a little more hesitant," Franck said. "But by that point, it was too late." Shankar came around. He called the arrangement "amazing." "We&apos;ll get to points in the story where, like, &apos;God, if only if we had something here that reveals a little of the culture on Ceres.&apos; And Ty or Dan will go, &apos;Well, how about using this?&apos; And it&apos;s from Book 6 or something that hasn&apos;t been written yet," Shankar said. "It exposes the richness and the depth of the universe that these guys have built." Abraham and Franck aren&apos;t just writing a very long story, they&apos;re creating a world. Worlds, actually. 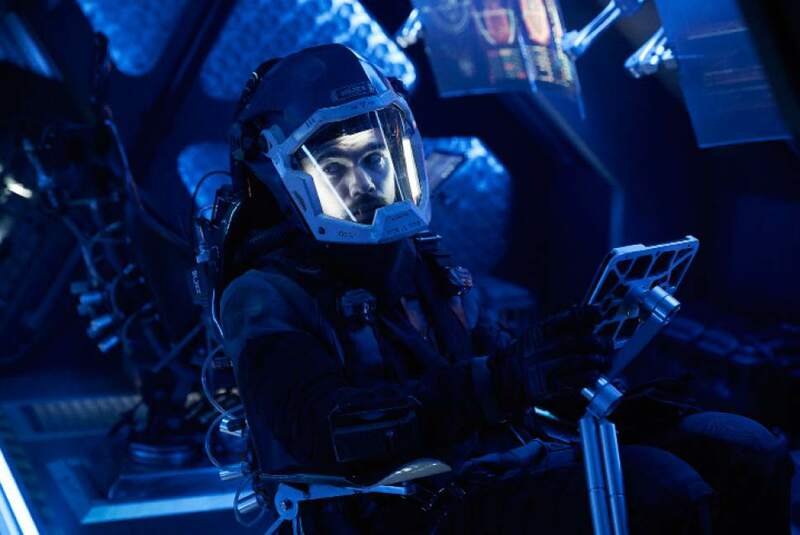 "The Expanse" takes place two centuries in a future. Earth has a huge population. It colonized Mars, which has declared independence. And then there&apos;s the Belt  colonies on asteroids, moons and space stations. Humans do not have faster-than-light propulsion or a reasonable way to travel to distant stars. Although, in this season, the Mormons are having a giant ship built to make a centurylong trip to another solar system. "Science fiction seems to fall gracefully into kind of two different time periods  20-minutes into the future, and then there&apos;s the part where we&apos;ve already spun out through the galaxy, like &apos;Star Trek&apos; and &apos;Star Wars,&apos; " Abraham said. "But there&apos;s not a lot about that middle part. It&apos;s underpopulated, so we wanted to try playing there." "The idea was that the books would go from &apos;Apollo 13&apos; to &apos;Buck Rogers,&apos; " Franck said. "And, in nine books, move from leaky spaceships and the dangers of vacuum to a much more high-concept sci-fi." Into this world of interplanetary rivalries enters the protomolecule  sent to our solar system millions of years ago by extraterrestrials but trapped on an ice moon orbiting Saturn. It transforms whatever living material it touches  killing everything, including humans, in the process for the purpose of … well, it hasn&apos;t yet been made clear on the TV series. So no spoilers here. 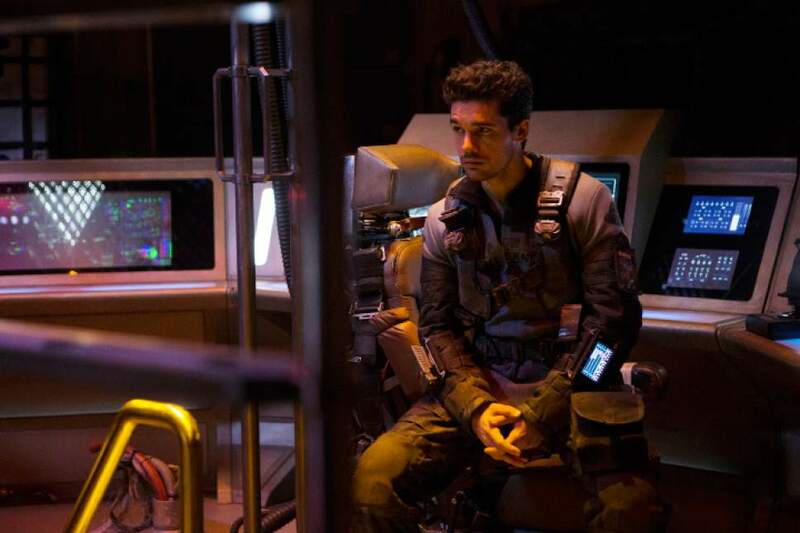 Suffice it to say that the protomolecule brings the solar system to the brink, with the crew of the ship Rocinante  James Holden (Steven Strait), Naomi Nagata (Dominique Tipper), Amos Burton (Wes Chatham) and Alex Kamal (Cas Anvar)  caught in the middle and trying to prevent all-out war. Readers will find the Syfy series instantly recognizable. "It&apos;s been faithful in some ways," Abraham said. "We&apos;ve made a lot of changes to the plot. Things happen in different orders. There are characters who don&apos;t exist. There are characters we&apos;ve added. "The thing that we&apos;ve tried not to compromise is the spirit of the story." When the TV narrative reached the juncture where the first book, "Leviathan Wakes," ended, it was the same. The series is midway through the second book, "Abaddon&apos;s Gate," and it will once again land in the same spot when it reaches the end of that novel. Franck said Shankar&apos;s "attitude is  if you buy something that&apos;s popular, there&apos;s a reason. Messing with it just screws that up. Some Hollywood writers have this attitude that they&apos;re going to buy a property and then they&apos;re going to fix it. And what they generally wind up doing is breaking all the things that made it popular to begin with." 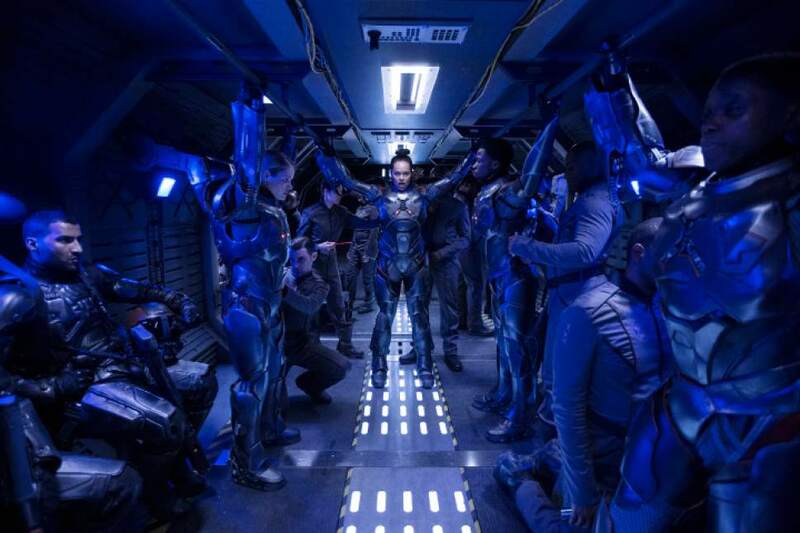 Which is not to say that "The Expanse" looks the same onscreen as what Abraham and Franck imagined when they wrote the books. "Of course not," Franck said. " I&apos;m not a spaceship designer or a costume designer or a set builder." 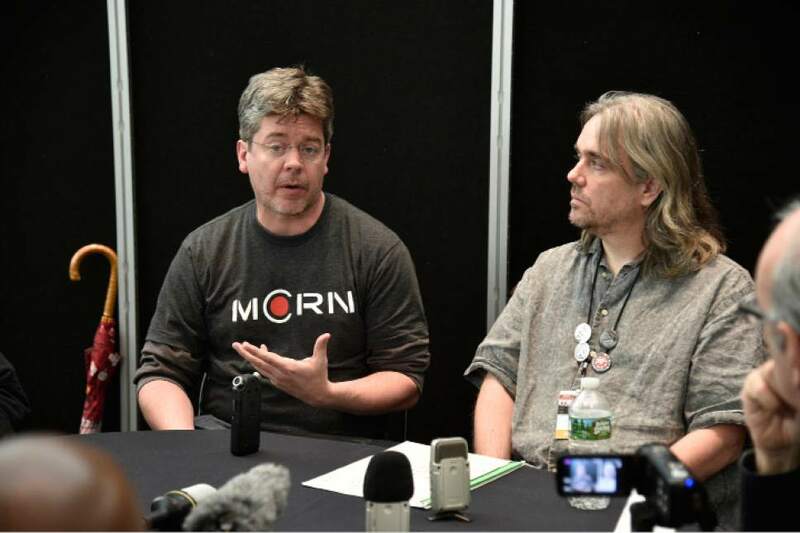 When he conceived this solar system for a role-playing game and when he and Abraham were writing the books, he had a "pretty minimalist version of what things look like in my head. And the professional designers took those ideas and "added their flair to them." "So of course it&apos;s going to be different. But in nearly every case, it&apos;s also better." There&apos;s no word yet on if there will be a Season 3. We do know that the books will continue; the seventh, "Persepolis Rising," is tentatively slated for publication later this year. Both authors say that when they&apos;re writing the books, they don&apos;t see the actors in the TV show in their heads. "We&apos;re pretty careful to not cross those streams," Franck said. "They feel like very different projects right now. So it&apos;s pretty easy to keep them sort of mentally separate." They promise there will be an ending, that the (still untitled) Book 9 will wrap up the story. And that fans shouldn&apos;t mourn the end of the "Expanse" book series. "Endings are important. I think endings are what makes something good," Franck said. "Daniel always jokes that you can&apos;t have a painting unless the canvas has edges. And I think that&apos;s right." They were determined not to repeat themselves, even though they "could have just written &apos;Leviathan Wakes&apos; over and over again for 25 books and made a ton of money." "I think a beginning, a middle and an end are the key elements of a story," Franck said. And the series has to end because, otherwise, "you&apos;ll never get that really satisfying feeling where you close the last page of the book and go, &apos;Wow. They earned that ending. 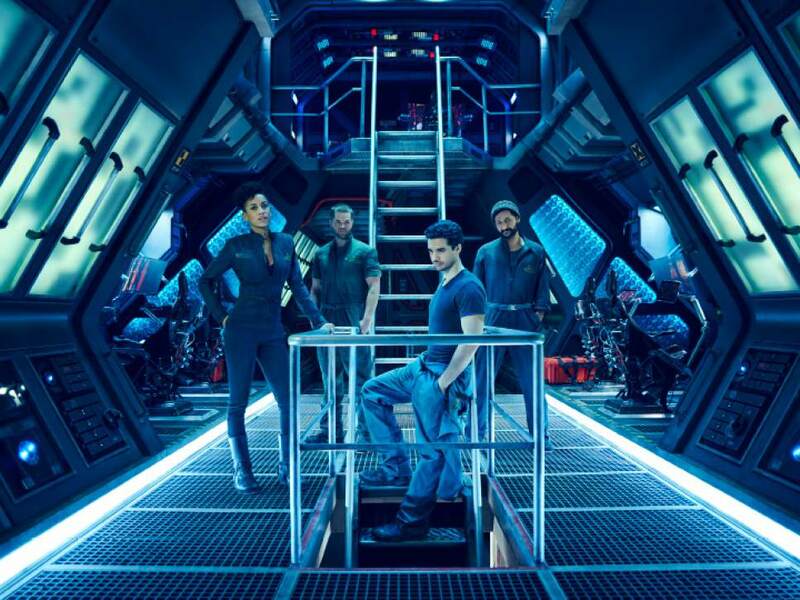 They&apos;ve been setting that up from the very beginning.&apos; "
P New episodes of "The Expanse" debut Wednesdays on Syfy  8 p.m. on DirecTV and Dish; 11 p.m. on Comcast. Season 1 is available on DVD, Blu-ray and for digital purchase at Amazon. Season 2 episodes are available on demand, on the Syfy app and for purchase at Amazon. "The Churn" is a prequel to "Leviathan Wakes." "The Vital Abyss" appears to take place three or four years after "Leviathan Wakes," with flashbacks to before and during the events of that book. "Gods at Risk" takes place between "Caliban&apos;s War" and "Abaddon&apos;s Gate." Book 7, "Persepolis Rising," is tentatively scheduled to be published later this year. Books 8 and 9, still untitled, are slated for publication in 2018 and 2019.